Senator Dino Melaye has updated his position concerning the Federal Government’s decision to honour presumed winner of the 1993 presidential election, Moshood Abiola, with Grand Commander of the Federal Republic (GCFR). The senator now fully supports the decision which has continued to generate debates. Recall that at the Senate plenary last Thursday, he argued that the National Honours Act provides that such a honour be conferred on the recipient in person; and since Mr Abiola is dead, he cannot receive the award. He added that the act provides that the honour be bestowed on Nigerians and since Mr Abiola is dead, “he is no longer Nigerian”. “Subsection 2 of the act says a person shall be eligible for appointment to any rank or holder unless he is a citizen of Nigeria. A dead man is not a citizen of the Federal Republic of Nigeria. We should not be emotional about this. The law remains the law. “Subject to the next notice, a person shall be appointed to a particular rank of an order when the president receives him in person,” he said. Mr Melaye’s comment was widely criticised by many Nigerians. He said his support for the award is unshaken as he had been clamouring for such years before. “Since last two days, I have been inundated with calls and text messages from well-meaning Nigerians especially my constituents, who want to inquire my exact position on the declaration of June 12 as the new Democracy Day and the conferment of the highest National Honours of GCFR on the late Chief MKO Abiola, the presumed winner of June 12, 1993 presidential election. “For the avoidance of doubt, my views and belief on the sanctity of June 12 and the place of the late Chief MKO Abiola in Nigeria’s democratic history, have not changed and will not. "Hence, in my view, the decision by the Federal Government led by President Muhammadu Buhari to honour the late business mogul was deserving and long overdue save for the attendant legal issues raised. “Let me make also it abundantly clear that while both Chief Abiola and the late legal luminary, Chief Gani Fawehinmi (SAN) deserved more than the GCFR and GCON Honours respectively to be bestowed on them posthumously next Tuesday, it is however important that the right thing be done in their memory should not have any blemish in the guise of the current debate for legality or otherwise of the historic Honours as we are witnessing now. “I urge the federal government to do the needful and display sincerity of purpose by officially recognising Chief Abiola as President-elect and cause the official results of the June 12, 1993 presidential election to be released by INEC since President Buhari himself had admitted in the Presidential Order designating June 12 as Democracy Day, the most freest and credible election, and then the GCFR title will therefore have a meaning. “If the right thing is done now by the federal government by proposing amendment to the National Honours Act 1964 to accommodate the current developments, no government in future will reverse the decision. 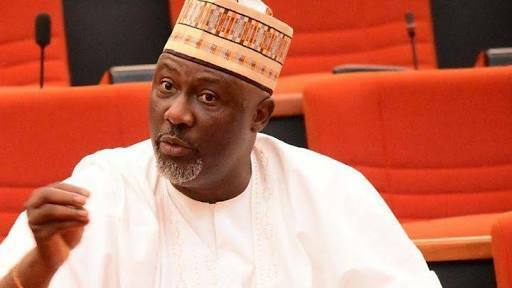 This is my stand as a lawmaker,” Melaye added.